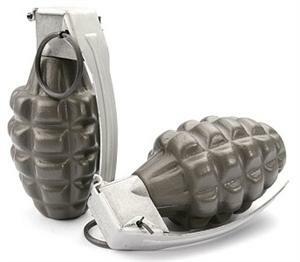 Make your uniform look authentic with these dummy MK-2 Frag grenade canisters! Top opens to a small storage area for BBs, tools, supplies etc. Great for reeactors, living history impressions, museum displays or other applications!